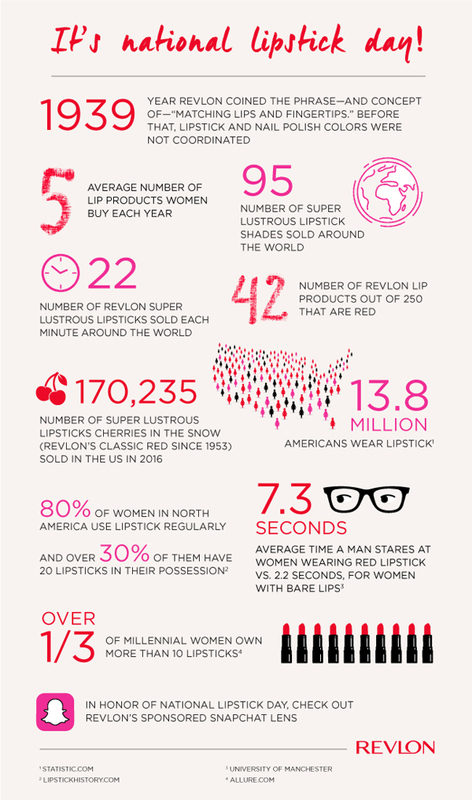 All Posts Tagged With: "Revlon"
In honor of National Lipstick Day, Revlon is sharing fun facts on lipstick! 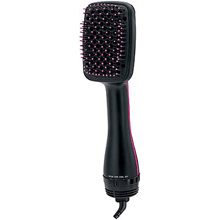 Frizzy, tangled, unmanageable hair? Sounds like the result of a well spent summer day! Whether the wind or water is to blame, Revlon has you covered with an array of brushes to keep your hair smooth and shiny this summer – without any hassle. Brush Up On Your Summer Beauty Game with Revlon! Brush up on your summer hair routine with the Revlon One-Step Hair Dryer and Styler, a paddle brush that shortens your styling time, and Soothing Sensations, a collection of brushes that glide through hair like a breeze while promoting the ultimate relaxing scalp massage effect. The brushes are great for summer travel! The ergonomic design of the One-Step makes it easy to pack AND there’s no need to pack multiple tools! Revlon Global Artistic Director, Gucci Westman, focused on clean luminous skin and paired it with a subtle eye, strong brow and bold lip, to compliment the Rag & Bone Spring/Summer ’14 collection. Revlon’s Global Artistic Director, Gucci Westman Created a Bright, Matte Lip for Oscar de la Renta’s Spring/Summer ‘13 Collection at New York Fashion Week, Tuesday, September 11, 2012. Revlon’s Global Artistic Director, Gucci Westman, paired a suede-matte fuchsia lip with contoured skin and a slightly flushed cheek, to complement the hot pink and neon blue hair extensions the models wore for Oscar de la Renta’s Spring/Summer 2013 collection. 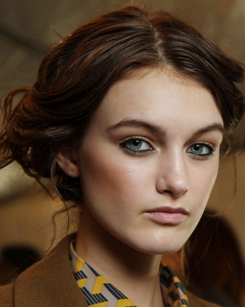 Revlon’s Global Artistic Director, Gucci Westman, created a striking eye for the rag & bone Fall 2012 collection, bringing forth the designers inspiration of the textures and colors of India. Elle Macpherson was no doubt one of the most wow-factor best-dressed hair and makeup celebs at the 2012 Golden Globe Awards. Elle’s hair was a bit blonder which I love and boy, this girl is 40 something!! REVLON Global Brand Ambassador Elle Macpherson wowed in a dramatic Zac Posen floor-length strapless gown and luminous beauty look. Last night saw Emma Stone, Revlon’s Global Brand Ambassador for 2012, walk the red carpet for the London premiere of US box office hit The Help, her latest offering for the big screen. To compliment her stunning Luca Luca spring 2012 RTW floor-length evening gown, Emma chose an impactful Revlon makeup look that was all about a strong lip, demonstrating a playful twist on 1930’s glamour. Revlon Brand Ambassador Emma Stone Dazzles in a Bright Coral Lip at London Premiere of The Help. Photo Credit: John Furnish.